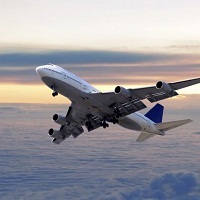 During the peak times of the year, booking an airline ticket is not an easy task. If you are stuck in a similar situation, then come directly to us for getting the best solutions. At Sai Tours, we are instrumental in rendering excellent airline ticketing services to the clients across Karwar (Karnataka, India). Owing to our close associations with various leading airline agencies, we are capable of providing cheap flight tickets for economy as well as business class. Thus, you can contact us for getting any number of airline tickets for domestic as well as international airlines. So, rush to us!